First Thoughts...Just the cover alone (and I know it's so wrong to just want to read something from the cover, but hear me out) made me want to delve into this endearing little novel. The title, for one, is pretty unique. I like the idea that there's more to the novel than meets the eye and that we'll get to see the main character (and secondary characters) grow over the course of years. My Review...So first thing, can I just gush, I AM SO FREAKING HAPPY I READ THIS BOOK. It was all that I wanted and more. And I know you're supposed to save the real, hard-hitting compliments for the end of the review, but I just couldn't wait. It's not just that Spencer - love-able, relatable, curious, has a dream of being a Scientist and is funny - is an amazing main character, it's that he's not defined by his illness. See, Spencer has Tourette syndrome. Yes, he was teased about it and that obviously hurt him a lot, but he's an optimist. Nothing is going to keep him from seeing the brighter things in life. And also a little smitten with his new friend, Hope. She's brilliant, sharp and oh-so-realistic. They have a connection like no other and it's no wonder that over the years of their friendship, lives and journeys together and apart, the label of friend starts to get blurry. The world that Spencer and Hope share is a beautiful, yet sometimes messy one. Sometimes they drift apart, then knit together again and can easily come undone. But the main fixture is obviously clear: they are meant to be in each others lives. Through Spencer's taxonomy system, he confides in it's clear-cut image of fitting their relationship into a certain box. But as we grow with Spencer's POV and Hope's, we learn that life doesn't always fit into a certain way or box, but that doesn't mean it's flawed. It's just...life. 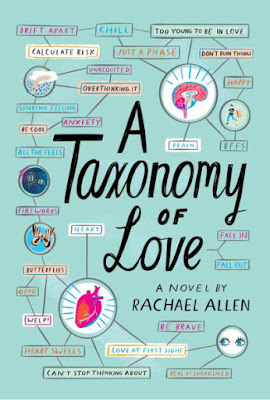 I can't gush about A Taxonomy of Love enough. It's the first book that I've read in 2018 and it was a ride of happy/sad tears, rooting for the beautifully crafted characters and sticking around for an enchanting timeline of love. Overall, this book is unlike any other. I would recommend this to anyone I know. Rachael - you wrote something epic and I can't give you enough credit. FIVE STARS! 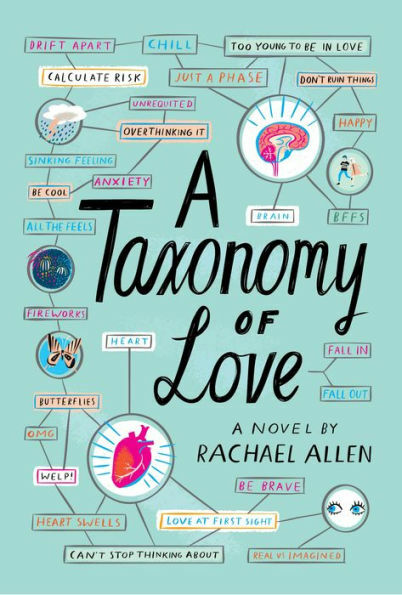 Have you had the chance to read A Taxonomy Of Love?